Nepali Judoka Phupu Lhamu Khatri won bronze medal in the 17th Asian Junior Judo Championship at the Rajiv Gandhi Indoor Stadium in Kerala in Kochi, India on Sunday. The Rio Olympic Games participant and 12th South Asian Games gold medallist, Khatri defeated Mohammadi Ban Ebouni Nasin in Shime-waja to finish third along with a player from Uzbekistan in the below-63kg weight category. Khatri earned a second chance to compete in repechage after she lost her first round bout against South Korea’s Lui Sui, who went on to win the gold medal beating the judoka from Kazakhstan. This is 10th international medal for Khatri, who had also won bronze in the 2010 edition of the Asian Youth Junior Championship in Bangkok. She won her first international medal at the Rajiv Gandhi Judo Championship in 2010 in India and added another bronze in her kitty the same year in Asian Junior Championship in Bangkok. She then won silver in the South Asian Junior Judo Championship in Pakistan the following year and bagged another silver medal in the South Asian Junior Judo Championship on home soil in 2014. Khatri then won two medals in 2015, a silver in JUA Cadet Junior Judo Championship in Hong Kong and bronze in JUA Cadet Junior Judo Championship in Macau. She won gold and bronze in Hungary Open Judo Championship before winning the 12th SA Games gold medal in India earlier this year. In the other match of the day, Punam Shrestha lost to Chang S from Chinese Taipei in below-70kg weight category. A total of seven players had participated in the junior championship. On Saturday, Kiran Gadel (55kg) lost to Cheng Yu-Sheng of Chinese Taipei in Waza-ari, while Sudesh Dong went down to Saginbai Elaman of Kyrgyzstan in Oshaikomi in below-60kg bout. 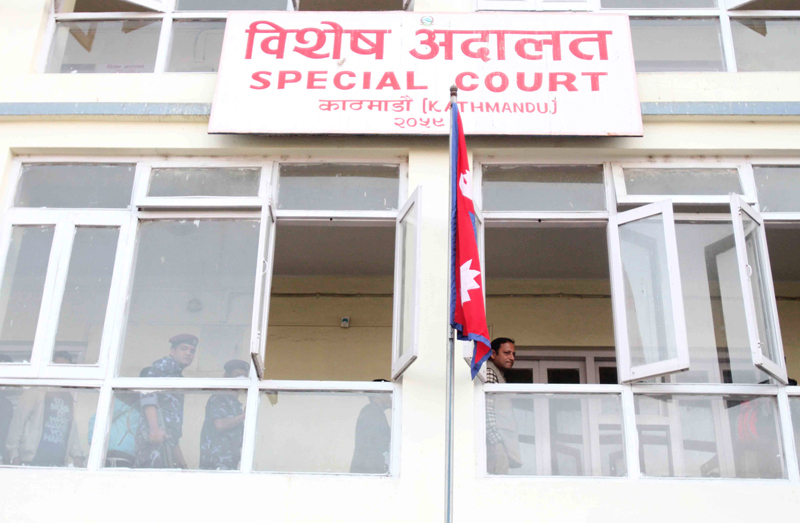 Ram Bhakta Tamang lost to Hamad Abdullah of Iran in Waza-ari in below-66Kgm whereas Manisha Maharjan Putwar faced defeat against O Son Hui of North Korea below-48kg and Anju Pandey lost to Jang Yejin of South Korea by Ippon in below-52kg weight category. The junior tournament began on Saturday, a day after the conclusion of the 10th Asian Cadet Judo Championship at the same venue. 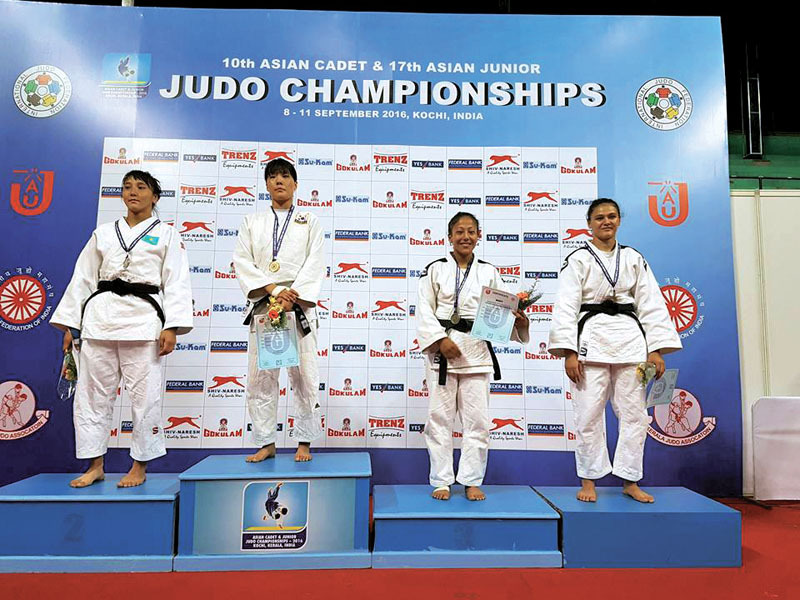 Nepal’s Manita Shrestha Pradhan won bronze medal in the Cadet Championship in the below-57kg weight category. The 12th SA Games silver medallist had beaten Kyrgyzstan’s Kadirova Jiregul in Waza-ari to finish third in below-57kg. Sharada Kumari Khatri (below-48kg), Laxman GC (below-50kg), Roshan Bahadur Dong (below-55kg) and Sanjog Bhatta (below-60kg) also competed in the tournament. 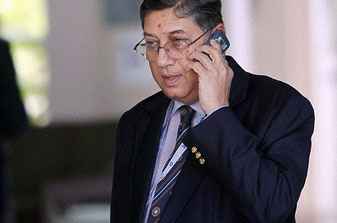 BCCI emergent meeting: More trouble for Srinivsan?